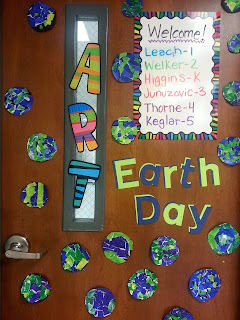 Above are some recycled painted-paper planet Earth mosaics my first graders made last week. Ohhhhh so cute! I'll be posting more about my first grade mosaic project later this week (probably).